The company is targeting a turnover of Rs 1,100 crore by 2020-21. 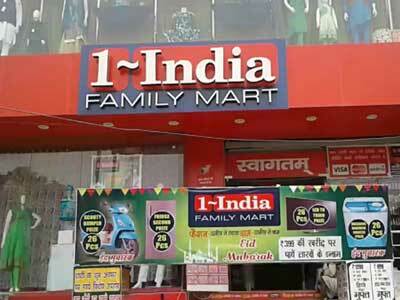 Nysaa Retail, operating '1-India Family Mart' retail chain, is looking at investing Rs 100 crore to launch 80 stores. The company is targeting a turnover of Rs 1,100 crore by 2020-21. Nysaa Retail is operating 80 stores in tier-II and -III cities in eastern and northern India. It expects to close the current fiscal with a revenue of Rs 420 crore. JP Shukla, Founder and Chief Executive Officer, 1-India Family Mart, said, "We plan to invest about Rs 100 crore to add 80 new stores by the financial year 2020-21. In the next phase of expansion, we will focus on North East. We are also looking at clocking turnover of Rs 1,100 crore in two years time."